They each had a story of how they got here. An early interest in science. The influence of family members or mentors. Even a random selection in an academic catalogue. 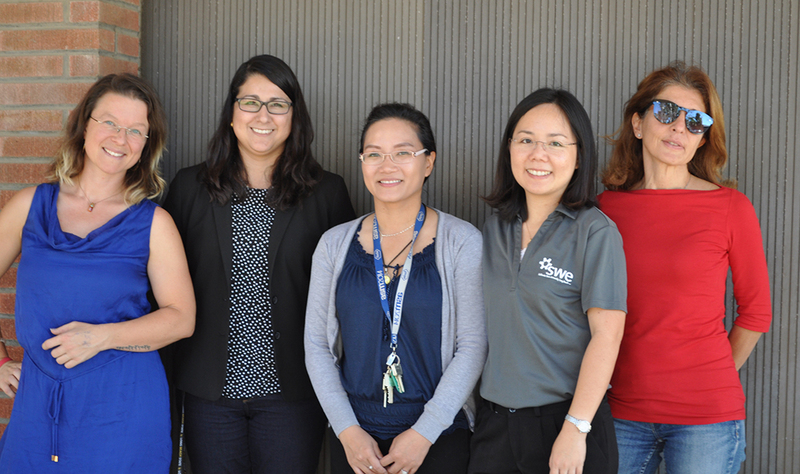 But the CSULB female engineering faculty who shared their backgrounds with Society of Women Engineers members all had one thing in common: a passion for research. Civil engineering Assistant Professor Pitiporn Asvapathanagul’s path included a stint working in her family’s Thai restaurant. She’d earned her undergraduate degree in environmental engineering in Thailand when her family beckoned her to move to the U.S. Alumni Jennifer Didlo, president of AES Southland, talks to girls about engineering. 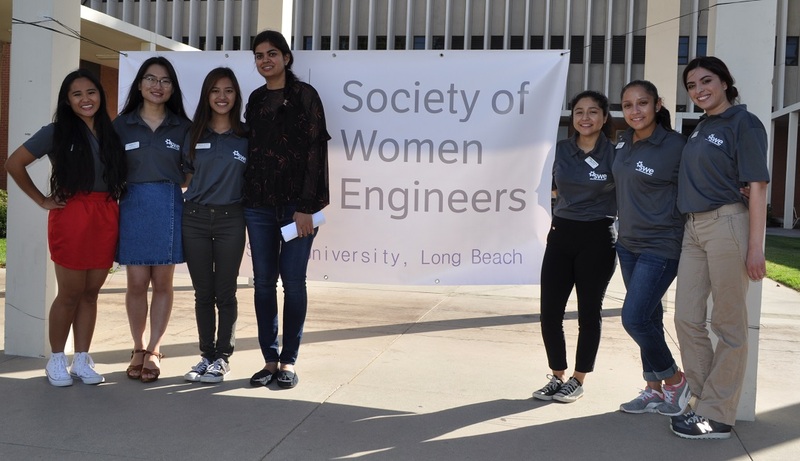 Nearly 150 girls from neighborhood elementary and middle schools heard about engineering as a career and participated in workshops during Engineering Girls @ the Beach Friday. 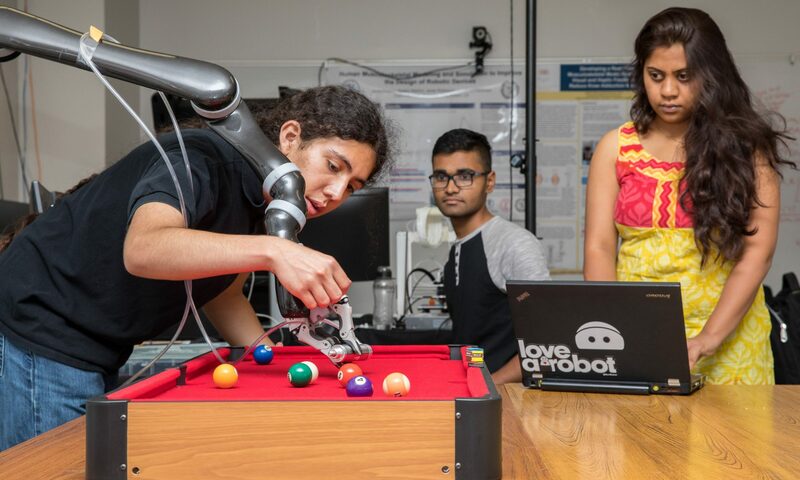 The event, sponsored by the CSULB chapter of the Society of Women Engineers, in addition to the American Society of Mechanical Engineers and Southern California Edison, is intended to introduce girls early on to the advantages of studying engineering.